The Story Gift first popped up on my radar back in the summer when I was researching bookish sites for my first Book Week. Their hampers are fantastic gift ideas and everything is available to buy individually too, including prints, candles, stationery, book sleeves and more. If you’re shopping for a bookworm this Christmas (and let’s face it, who isn’t?! ), you can’t go wrong with these lovely stocking fillers. 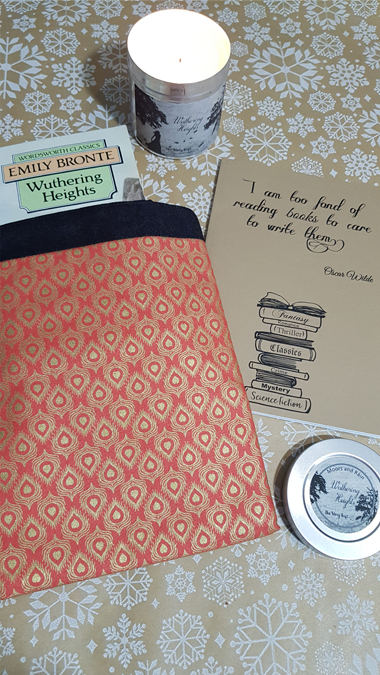 Deema sent me a book mug*, Wuthering Heights candle*, book sleeve*, Little Women print* and notebook* and I was one very happy little nerd. Is there anything better than settling down with a good book on a cold, dark evening? I love to hygge it up with a candle and hot chocolate too. This is my second Story Gift candle and I’ve been really impressed with the quality and scent. The Wuthering Heights candle is aptly named/scented ‘moors and rain’ – as atmospheric as the book, which I’ve housed in this beautiful book sleeve. 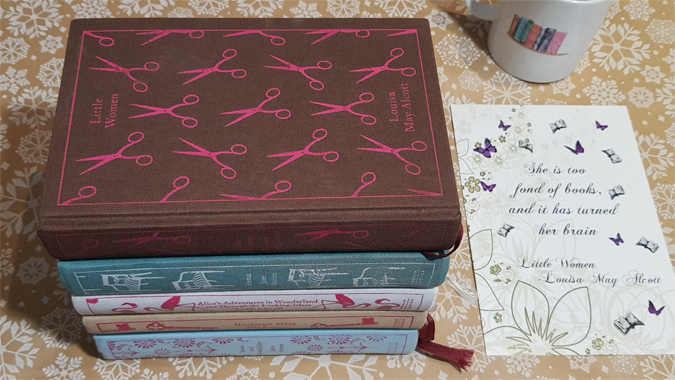 If you’re anything like me and always have a book in your bag, you’ll want to keep any special editions safe from the random crap which you’ll inevitably accumulate in the bottom (leaky pens, anyone?). I always carry a notebook too, for any random bursts of inspiration, or to note favourite quotes from whatever I’m reading. I’d never mark the quotes in the book itself. I love a bookish quote and this one from Little Women is one of my favourites. What’s your favourite literary quote? To be in with a chance of winning a book sleeve and print, just complete the Gleam entries below before midnight Monday 10 December. A winner will be drawn at random and contacted directly. They will have a week to respond before an alternative winner is selected. UK entries only. These are some lovely bookish gifts. The candle is probably my favourite and I think the book sleeves would also be good to keep tablets or a Kindle safe. What a perfect bookish cosy night to be had with all these gorgeous bookish treats! 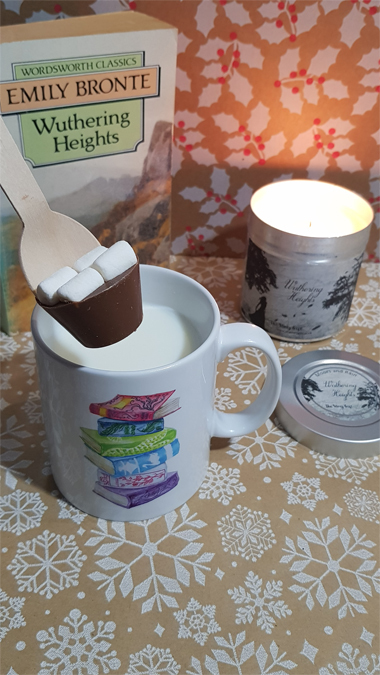 A perfect gift for bookworms. The sleeve sounds really useful for protecting those precious books. This does look lovely, a great treat for a bookworm. One of my favourite companies! The book cozy is so beautiful! It looks like a Smoking Jacket and should be wrapped around a Sherlock Holmes novel! Wonderous!